Halloween is almost here and we are so excited to share a special eBook with you, created by the teachers from Upper Elementary Snapshots. It's filled with Tricks and Treats for the upper elementary classroom! 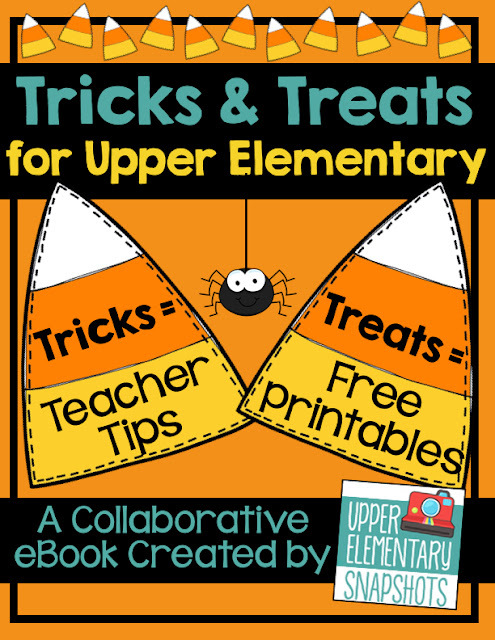 In this eBook, you'll find lots of "Tricks" for you (teacher tips you can use now) and "Treats" for your students (free printables for Halloween and Fall) and best of all...the eBook is absolutely FREE! Thanks for stopping by and Happy Halloween from all of us at Upper Elementary Snapshots!